If you are using your unit as a rental, there is an additional $11/nightly or $60/monthly surcharge. We now have multiple means of accepting payments, including recurring online billing! Check out the options below. For more information about how Cozy works or to log into the Cozy account we've previously set up for you, please click the Cozy button below. 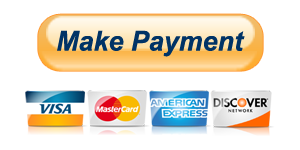 We have set up a Paypal account to be able to take single payments securely over the internet. It is fully secured and can be used by anyone whether or not you currently have a Paypal account. Paypal will accept regular Visa, MasterCard, Discover, or American Express debit or credit cards from anyone (no gift cards, sorry); if you already have a fully registered and verified PayPal account, you can send money from your linked bank account as well. Simply click on the PayPal button below to begin, enter the amount you want to send and follow the prompts from there. Important Note: As Paypal charges us fees to process these payments, please add 3% to the amount you are sending so your payment will be correct. If your payment is less than required due to processing, we will have to invoice you for the difference. Important Note 2: Please remember to put your unit number in the "notes" section of the Paypal window when it is confirming the transaction so we can apply it to the correct account. If you do not do this, we may not be able to match up your payment to your unit account, your payment will be refunded and your account will be marked as late. At this time, we do not accept recurring payments by Paypal. If you have any problems using the Paypal system, please send an email to payments@seascapehoa.com and we'll get back to you as soon as possible. Checks or money orders may be mailed to the accounting firm of Schrakamp & Schrakamp, LLC at the address below. Please include a note indicating your unit number in the envelope or make a note of it on the memo line of the check. Failure to do so will result in a delay in processing the payment or potentially even the inability to apply the payment to the proper account. Address the envelope to the attention of "Seascape HOA Payment." Please note that at this time there is no fee for processing a check - but this is subject to change in the future and we strongly recommend that owners use one of the online payment services above. If you have any specific questions about paying by check, please contact Schrakamp & Schrakamp via this link. Unfortunately, we do not accept cash payments by mail. They may be presented in person by appointment at the accounting firm of Schrakamp & Schrakamp at the above address. Please contact them using this web page to make an appointment prior to making payment if paying cash. Contact us here at the HOA and we'll be happy to clear up any questions.